Q: What inspired you to write Ragged Hope? Short answer? A broken heart. Longer answer? My heart, broken over others’ pain. Everywhere I turned were people with a story to tell of how someone else’s decision, mistake, or sin created fallout of consequences for the people around them. Most of the attention, listening ears, and help focused on the fallen one—the alcoholic, the person in rehab, the gambling addict, the unfaithful… Where were the books acknowledging the pain of the innocent survivors living in the fallout? I wanted to give those survivors voice, to applaud their tenacity and resilience. Q: You write this book from personal experience. Can you tell us about a time when your life was greatly affected by a decision someone else made? A recent incident underscores the reality that fallout isn’t always the result of intentionally evil decisions or vile moral failures. Sometimes they’re just Life. 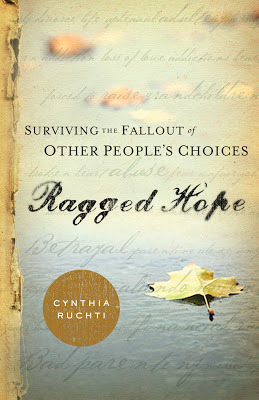 Ragged Hope is for those survivors, too. My husband fell from his hunting stand, breaking his back and his femur. Rather than the solitary writing space my heart craved and my deadlines demanded, our world careened around a pain-wracked corner that included his hospitalization, surgery, and a long recuperation during which he needed my around-the-clock care. The combined injuries made him unable to do the simplest self-care tasks. While he lay on the couch, immobile, bearing his consequences in pain and emotional distress over recovery and concerns about medical bills, I bore the weight of my own work responsibilities compounded with his normal household duties, insurance wrangling, and the challenges of a full-time caregiver. Nothing was simple anymore. Everything took longer, was harder, and taxed my ability to stay upright. I share this story as a comfort for those who think their heart need isn’t dramatic enough to make the pages of a book like Ragged Hope. A split second accident can change the course of our lives for a season or forever. My husband has recovered enough to return to work. Some things may never be the same. But we survived by hope, and we cling to it even now. Q: Are there any Scriptures that were particularly meaningful to you during a difficult time? I can trace a path of tears through my Bible, places where my heart landed at difficult moments or seasons. One night when my kids were turning into adults, I sat in bed, hugging my pillow to my middle, rocking back and forth with a pain deeper than any physical pain could register. I reached for my Bible on the nightstand, opened to where I’d finished reading the night before. II Chronicles, chapter six. I remember thinking, “Sure. There’s plenty of comfort in II Chronicles!” I began reading where I’d stopped the previous night: II Chronicles 6:1, “Solomon said, ‘Oh, Lord, You have said that You would live in thick darkness.’” What our family was living through was certainly thick and unquestionably dark. God said He would be there anyway. Q: How did you collect the stories you share in Ragged Hope? Q: In the first chapter of your book, Lila, whose story you tell, says, “remind your readers to look for the glory moments when life gets ugly.” What is a glory moment? Glory moments are when God reveals Himself in spite of the pain or in the midst of the distress with a flash of joy or a clearer sense that He is right there. For me, one of the glory moments in caregiving was an evening when I washed my husband’s feet. As I laid the towel across my lap and squeezed the warm, soapy water from the washcloth in the basin, it transformed from a common, not altogether pleasant task to a holy and tender “let me serve you because I love you” experience. For me, that was a glory moment. The circumstance remained the same. But my heart vibrated with the deeper meaning of what was happening. Q: You write, “how ragged is the hope you’re clutching? It’s no less valuable or essential than it was when it was new.” Those are powerful words—how can we remind ourselves of that when we’re in our lowest moments? The mind—like water—flows to the path of least resistance. If a path of hope is carved into our lives, then when the flood comes, the mind and heart will flow into that pattern of hope. The other day I played a peg game with my young grandsons. Mentally challenging, the game required them to figure out what pattern of colored pegs I’d chosen. As I encouraged them toward success on each attempt without giving them the answer, I often said, “Start with what you know for sure.” That concept is a holding on place for us when our circumstances seem hopeless. When panic threatens or despair breathes its sickening breath in our faces, expressing those truths we know for sure can link us back to a thread of hope. Q: Is there a fine line between complaining about something you are going through caused by another’s decision and simply blaming someone else for your problems? Is it even ok to complain about your situation? Many people think the pain will go away if they spew the injustice of their situation to as many people as possible. What usually happens is they grow hoarse from too much rehearsal, or they form a new story world for themselves in which their pain is the only setting and the only plotline. Getting stuck in either complaining or blaming is completely counterproductive to what our soul needs when we’ve been wronged. Q: Is there any way to prepare or condition ourselves for when we are faced with the fallout of someone else’s choices? Most Ragged Hope incidents blindside us. But they’re most threatening to those who haven’t dealt with key life issues that fortify the human heart for times of disappointment. How would parents survive if they had to run to the drugstore to get a thermometer when their child’s fever spikes? Or look online for a reasonably priced, will-ship-now fire extinguisher with flames licking the kitchen cupboards? The wise parent has on hand the tools they need to respond in an emergency. Why would that be any different spiritually? But how often do we think of things in that light? Q: What are some of the first necessary steps to overcoming a bad situation you find yourself in? Stop. Drop. And Roll. Stop: Step back for a moment and acknowledge you’ve been run over by a freight train. Give the pain room to breathe or it’ll suffocate you. Drop: Figuratively or literally, drop to your knees in prayer. Pressing forward without reconnecting with the only One who can make a significant difference in your ability to cope with the crisis will make the limp more prominent and do further damage. Roll: Let your mind picture rolling the bulk of the concern onto the God who not only offers to carry it for you, but who doesn’t feel the gravitational pull we do. Run to the Embrace: When a child is hurting, mom opens her arms and invites the little one to run into her embrace. First, she hugs. Then, she tends to the scraped knee or sadness. The hug begins the healing. Too often we skip that part when we’re crushed by circumstances. We run away from the open arms. What would happen if we ran into God’s embrace as the first step in our healing? Q: What is the best thing to do for or to say to someone stuck in bitterness? The list of those “healed” of their bitterness through the lecture method is bare. The list of those who found their bitterness melting under the heat lamp of love is long and filled clear to the margins. Sometimes the bitter simply need to feel as if they’ve been heard. So we can add listening to the ointment of our unconditional love. Q: Is it appropriate to take time to mourn our situation or should we immediately respond by putting on a happy face and a can-do attitude? Was Jesus smiling on the cross? No. We’re told He was in agony. He felt every nuance of the pain. But that didn’t mean He’d lost His faith. Far from it. He was sinless to the end. God Is the God of comfort. That element of His character would be unnecessary if we didn’t need comforting. So yes, it’s not only appropriate but necessary to allow ourselves to grieve. 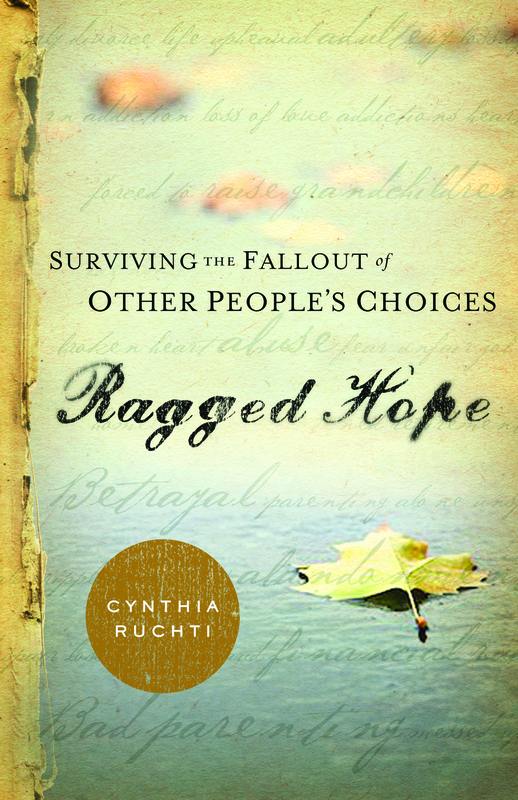 In the chapters in Ragged Hope, each story spans a few pages. In reality, the stories took years to live, in some cases. The kind of fallout addressed in Ragged Hope is life-altering. People are hurting, broken, crushed under the weight of consequences. We can’t take that lightly, even if we’re the ones who are broken. Q: Can you think of a situation where it is ever impossible to make the best of a bad situation? Many. Sandy Hook comes to mind. The Boston Marathon. A fire that wipes out a community. A senseless crime that wrecks havoc on a family. Maybe rather than “make the best of a bad situation,” we could look at it as finding the spot where hope hides in the middle of desperation. God knew we would often find it impossible. If the trauma presses us into Him, we are uniquely positioned to catch those elusive glimmers of hope. Q: If you are the cause of someone’s mess, even if you meant no harm, what responsibility do you have to the other person? Some of us may not realize the kind of fallout we cause. From God’s perspective, it’s clear that if our actions hurt another, we are obligated to do what we can to make that situation right, if possible. Sometimes that means a heartfelt apology is in order. Sometimes it means restitution. Sometimes it requires assisting in the fallout cleanup process. Q: Most authors either write fiction or non-fiction, but you write both. How did you get into writing, and what genre is your favorite to write? I worked in a chemistry laboratory at a large medical facility for the first seven years of our marriage. After I left my job to be a stay at home mom, I took a series of creative writing courses to keep my mind challenged while caring for toddlers, not that toddlers can’t be mind-bending. 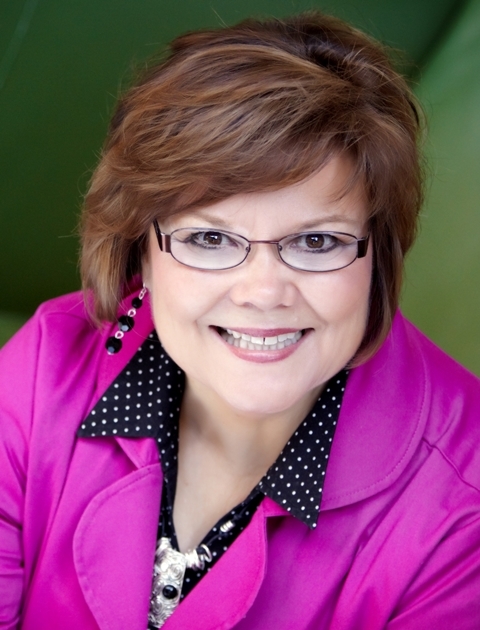 Two weeks after receiving my certificate of completion of the final course, God brought someone across my path who had been given a once-a-week radio slot for free. Fifteen minutes. I was handed the address of the station and asked to send the first radio program. What? I had no experience, no real training, no equipment. But I was willing. That broadcast retired in 2012 after thirty-three years on the air. A few years ago, I attended a writers’ conference that helped me see I had spent years writing fiction (the radio dramas) and nonfiction (the devotional segments). I tell stories of hope-that-glows-in-the-dark, whether it’s through a fiction venue or non-fiction, or a speaking engagement, or with a grandchild on my lap. When writing nonfiction, I have a novel brewing, and vice versa. Having to choose just one would be difficult. But a similar tone, flavor, heart, and hope are infused in both my nonfiction and fiction projects.